Coffee... some like it hot, some like it cold. Which one are you? When I'm at home, I'm usually a "hot bulletproof coffee" kind of girl. But an iced coffee is my go-to when I venture out to a coffee shop. Unfortunately, I'm usually left less than impressed with the non-dairy milk choices & end up wishing I made my own at home. 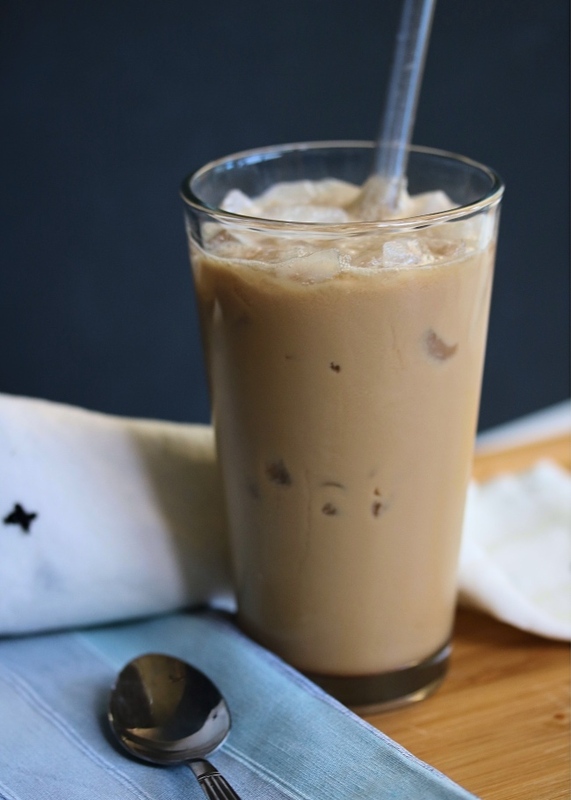 It's like there's nothing in between a full-on iced latte with sugary syrup (and a whole lotta junk in it) and a watery-yet-bitter "iced coffee with almond milk". 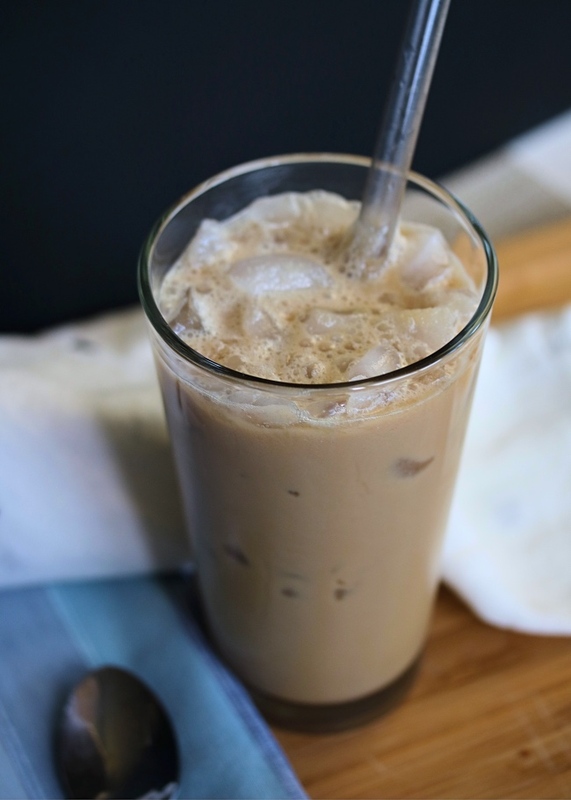 So over time I've played & played with my favorite at-home ingredients, and I've come up with an iced coffee that makes me WANT to make my own. It's easy: just three ingredients. And somehow so delicious and creamy, even with a non-dairy (and Whole30 Approved) creamer! I start this recipe with a cold brew concentrate. You can find these pretty much everywhere nowadays, which is so cool! Target, local grocery stores, Trader Joe's, Amazon, you name it! There are many flavor options too, from vanilla to caramel. And if one of those is up your alley- I say go for it! Just check for sweeteners if you're making this on a Whole30. My go-to is an organic cold brew from Trader Joe's (which is really this brand you can find on Amazon with their label on it). Because you've all heard me go on about organic coffee. I think it's so important! Feeling skeptical? Google it! There are more & more organic options popping up on the shelves and I think it's a must! Especially if you're buying decaf. Okay rant over on that. 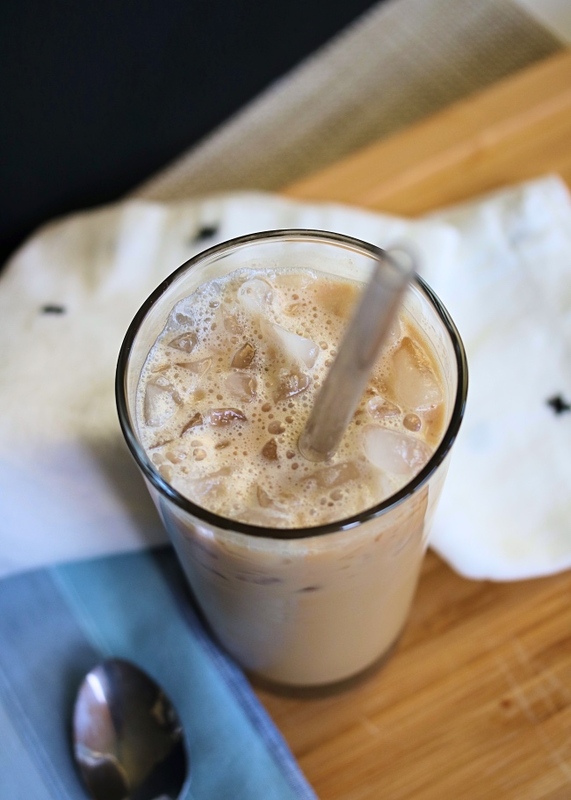 Back to this drink- we've got the cold brew. Then I mix in my all-time favorite creamer: Nutpods! They've got a few different flavor options, but French Vanilla is always my personal choice. 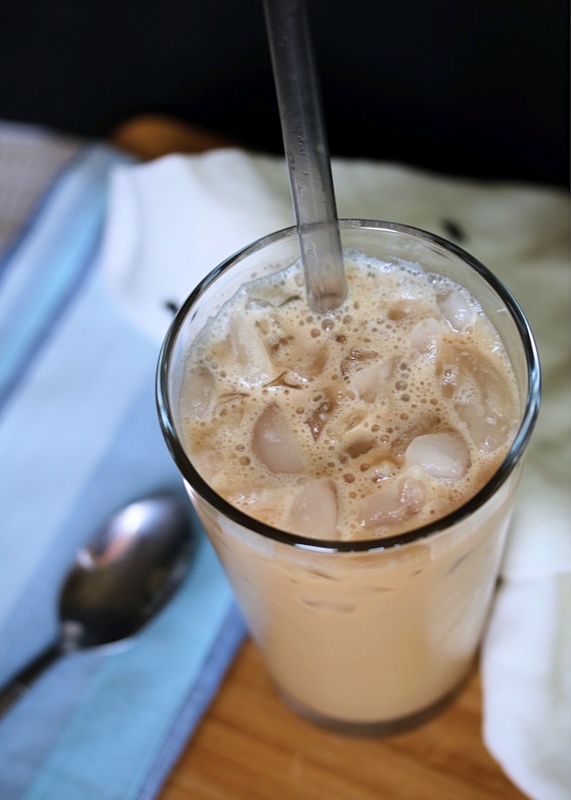 It's a blend of almond & coconut milk, but somehow is SO dang creamy. If you are allergic to nuts, you could totally substitute some culinary coconut milk here! I really like this one from So Delicious, which is also Whole30 compliant if that's important to you. Last but not least- I go a little unconventional here. I add coconut water! Regular water or extra creamer would be fine- but try the coconut water at least once before you knock it! 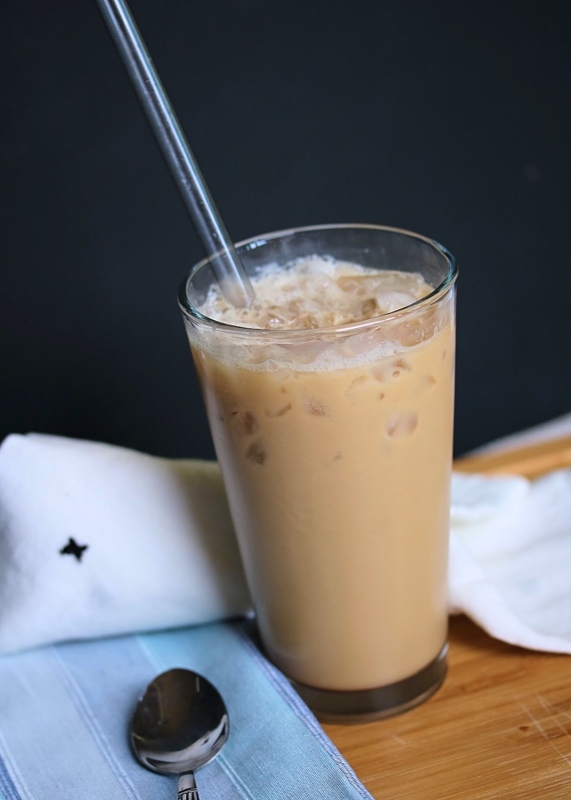 It mellows out the super strong coffee concentrate just enough, and coconut water is good for you too. The consistency turns out just right for me & I love the taste of these three combined. But feel free to use this as a ratio guide for your cold brew creations- and play! Fill a tall glass or tumbler with ice. Combine the ingredients in a measuring cup, stirring if needed. 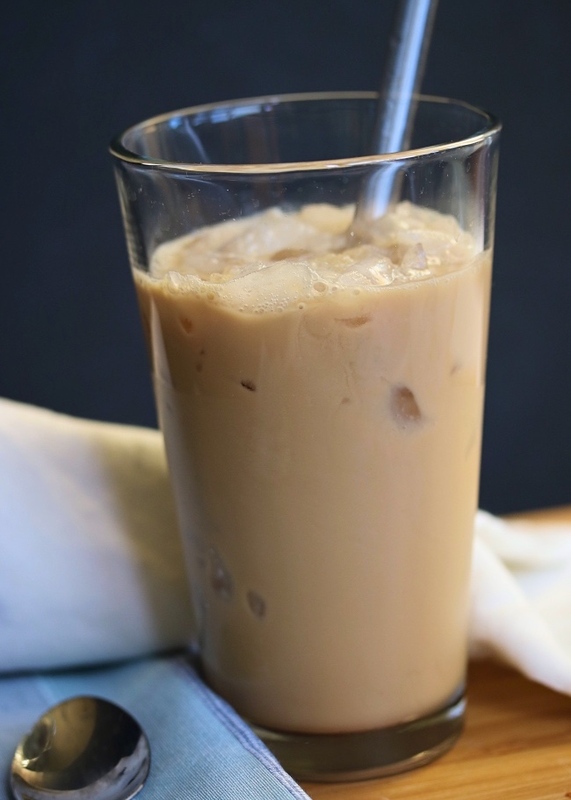 If you are making this on a Whole30, double check the ingredients in your coffee creamer and your coconut water! If you're not Whole30ing and you want things a little sweet, try adding maple syrup! It blends in so easily, and a little goes a long way. And it tastes delicious! I'm new to The Whole30. Are there certain types of coconut water that are compliant? Can you recommend the coconut water you use? So many of the ones I've seen have added sugars. Thanks!